Bolts, Washers and nuts for mobile home coupling. 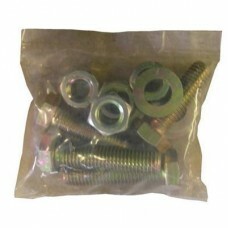 Set of 4 , 2 Long and 2 Short Bolts. 4 Washers and 4 nuts.